Any profitable behavior of utilizing the resources downloaded from this site is condemned and disdained sternly. If you feel some resources have infringed you copyright,Please mail to us (eygle.com_at_gmail.com) ,we will delete it as quickly as possible,we won't bear any legal responsibility for the resources. 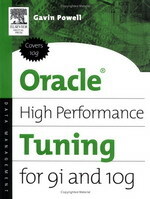 There are three parts to tuning an Oracle database: data modeling, SQL code tuning and physical database configuration. A data model contains tables and relationships between tables. Tuning a data model involves normalization and de-normalization. Different approaches are required depending on the application, such as OLTP or a Data Warehouse. Inappropriate database design can make SQL code impossible to tune. Poor data modeling can have a most profound effect on database performance since all SQL code is constructed from the data model. Poorly written SQL code is often a culprit of performance problems and is expensive to rectify. However, tuning of SQL code is generally cheaper than changing the data model. SQL code tends to be contained inside independent blocks within applications or stored procedures. 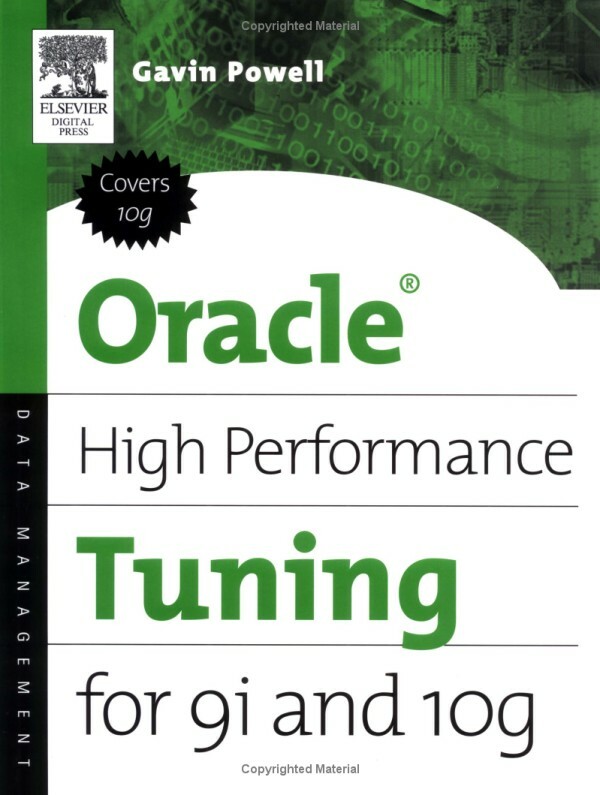 Physical database tuning involves hardware resource usage, networking and various other Oracle things such as configuration and file distribution. Physical configuration is often a culprit of poor performance where Oracle is installed with defaults, and never altered by an expert. The new edition of this classic book, Oracle Essentials, 3rd Edition: Oracle Database 10g, distills a vast amount of knowledge into an easy-to-read volume covering every aspect of the Oracle database. Readers of all levels will learn about Oracle's features and technologies, including the product line, architecture, data structures, networking, concurrency, tuning, and much more. Featuring focused text, abundant illustrations, and helpful hints, the new edition offers a valuable overview of Oracle's Database 10g --the industry's first database to support grid computing. 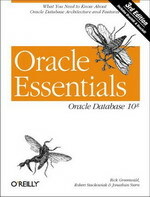 Recent releases such as Oracle 9i and 8i are also covered. 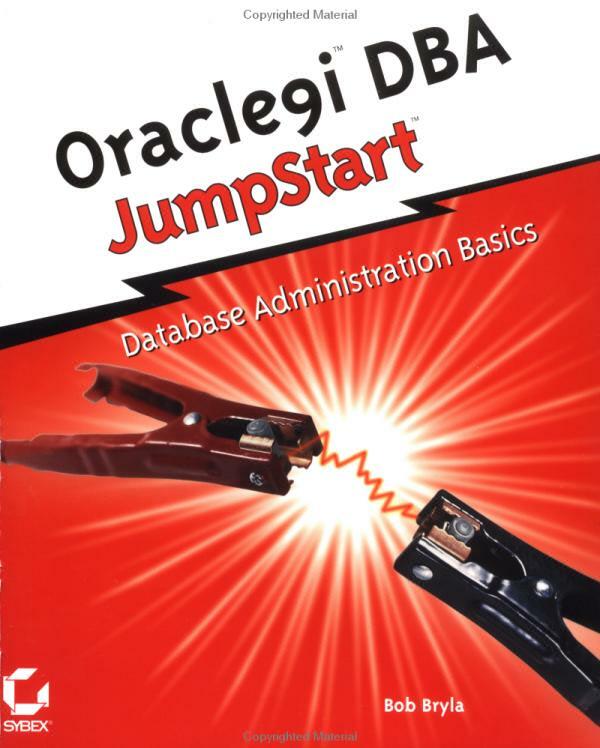 More comprehensible than a large reference, and more detailed than mot primers, this book covers all the information you'll need to install and run the Oracle databases, as well as the conceptual background you'll want to understand how they work. If you're new to Oracle or upgrading to Oracle 10g, you'll find this all-in-one guide essential. 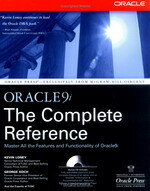 Master all the powerful features of Oracle9i using the exclusive information inside this indispensable resource. 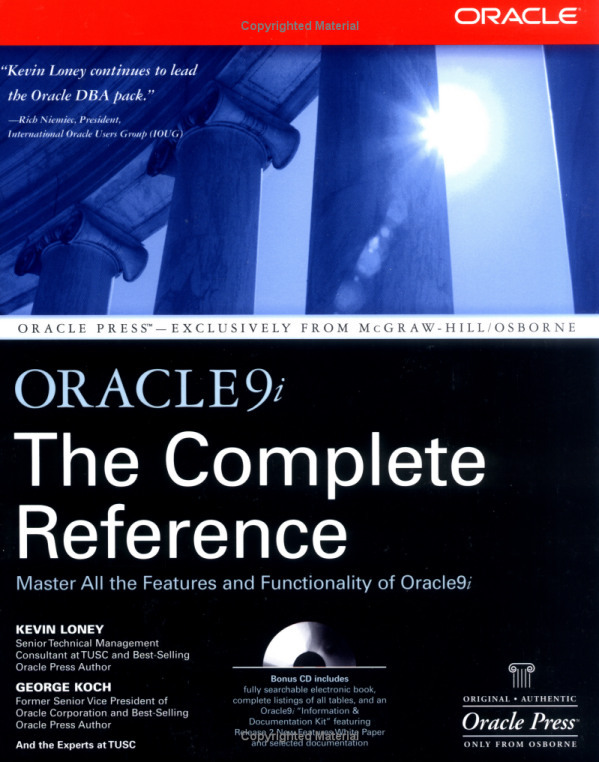 Written by best-selling Oracle Press authors Kevin Loney and George Koch, this volume explains how to implement all the components of Oracle9i. This is a must-have reference for all Oracle professionals. Average Customer Review: Based on 7 reviews. Interested in a career as an Oracle database professional but don't know where to begin? 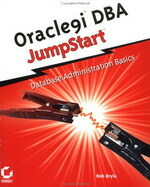 The Oracle9i OCA and OCP certifications are two of the hottest IT certifications around, and the Oracle9i DBA JumpStart from Sybex can provide you with the solid foundation in database administration and programming basics you'll need before embarking on a comprehensive study program. The JumpStart series was developed in response to requests from technical trainers seeking to ensure a level starting point for students in their classrooms. The author is an experienced Oracle instructor who provides simple, tangible explanations to make the world of databases accessible to newcomers to the IT field. You'll learn about relational database concepts, SQL*Plus or iSQL*Plus commands, sorting and reporting techniques, security, and much more. When you're done with this book, you'll be ready to face the challenges of Oracle9i certification preparation.